Mr Bloom and his Band. Dundee Flower and Food Festival will be celebrating its 30th year when it returns in a few weeks — and here’s your chance to win a place for your child at one of the most exciting events in the feature-filled programme. CBeebies’ very own “gardener extraordinaire” Mr Bloom will be appearing on Sunday September 2 and will be holding a special meet and greet with his biggest fans. Mr Bloom, played by actor and writer Ben Faulks, started out as a theatre show before joining the BBC children’s TV line-up in 2009. 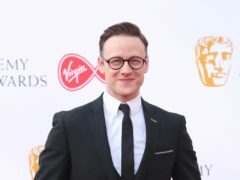 His easygoing, can-do approach to life and the unique way he engages with children has established him as a firm favourite on the CBeebies channel, garnering guest appearances on other shows & numerous BAFTA nominations. His videos have also been watched millions of times on CBeebies’ YouTube channel. He’s the only person who’s guaranteed to get children screaming at the top of their lungs for broccoli! Dundee Flower and Food Festival runs from Friday August 31 to Sunday September 2 at Camperdown Country Park. Book before Wednesday August 22 and take advantage of these discounted prices: 3-day Ticket (3 days for the price of 2): Adult £20; Concession £18 plus a Day Ticket (valid Sat & Sun only) – Adult £10; Concession £9. From Thursday August 23 until 1.30pm on Saturday September 1, all event tickets will be full price whether purchased from Dundee City Box Office or on the day at the festival gate: Saturday & Sunday – Adult £12, Concession £11. 3-day ticket (3 days for the price of 2) – Adult £24, Concession £22. NB: all Friday tickets are £9: no discounts apply. Accompanied children under 16 are free.